Amid rising trends in opioid use, hospitalizations for health conditions secondary to intravenous drug use are becoming more common. Such patients often require prolonged hospitalizations and frequently present with substance use histories, co-occurring mental health diagnoses, and unique behavioral health needs. These issues can adversely impact completion of medical treatment and place added burden on hospital staff. There is a growing need for medical institutions to develop policies and procedures which address the specific emotional, behavioral, and substance use needs of this patient population. 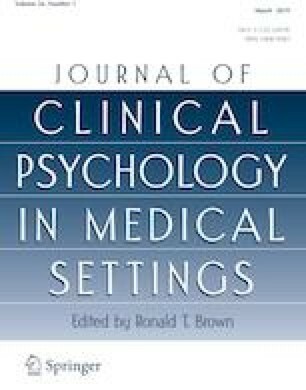 Because guidelines for doing so are sparse in the literature, this study outlines the University of Vermont Medical Center’s process of developing an in-hospital care agreement intended to (1) increase patient access to in-hospital need assessments, psychotherapy, and medication for opioid use disorders, (2) increase referrals for opioid use treatment beyond hospitalization, (3) standardize staff response to common challenging behaviors, and (4) provide staff with education and support for interacting with patients in effective ways. The multidisciplinary process of developing this care agreement, its specific details, lessons learned, and anticipated future directions are also discussed. The online version of this article ( https://doi.org/10.1007/s10880-019-09616-4) contains supplementary material, which is available to authorized users. Andrew Gill, Tara McCuin, and Marlene Maron declare that they have no conflicts of interest. Bellfield, H. (2012). Dual diagnosis policy (mental health and substance misuse). Retrieved from http://www.sompar.nhs.uk/media/1159/dual-diagnosis-policy-v1nov-2012.pdf. National Institute on Drug Abuse. (2012). Principles of effective treatment. Retrieved from https://www.drugabuse.gov/publications/principles-drug-addiction-treatment-research-based-guide-third-edition/principles-effective-treatment. Vermont Department of Health. (2017). Opioid misuse, abuse, & dependence in Vermont: data brief, April 2017. Retrieved from http://www.healthvermont.gov/sites/default/files/documents/2016/12/ADAP_Data_Brief_Opioid_Misuse_Abuse_Dependence.pdf.